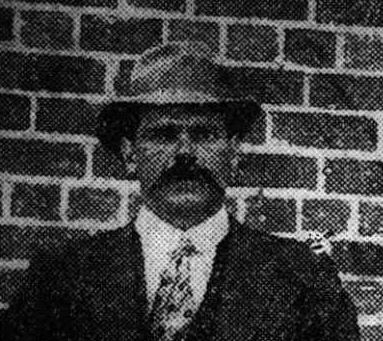 Ernest Simpson was a 33 year old labourer when he attempted to enlist in Gilgandra on October 9 1915. Ernest had paid for 3 weeks in a hotel waiting in Gilgandra because he wanted to enlist with the Coo-ees but he failed the medical when a hernia was found. He decided to march anyway, hoping to have surgery to correct the problem in Sydney. The ‘Farmers and Settler’ newspaper described him as ‘the strongest man that has offered….and is as sound as a bell’. After 16 days in Liverpool Camp a Medical Board Report found that he had a double inguinal hernia so Ernest was rejected as medically unfit on November 29, 1915. Ernest was mis-named as C A Simpson in a newspaper report, which prevented confirming his service record until recently. He was born in Horsham Victoria and his next of kin was his father, Duncan Simpson of Renmark South Australia.